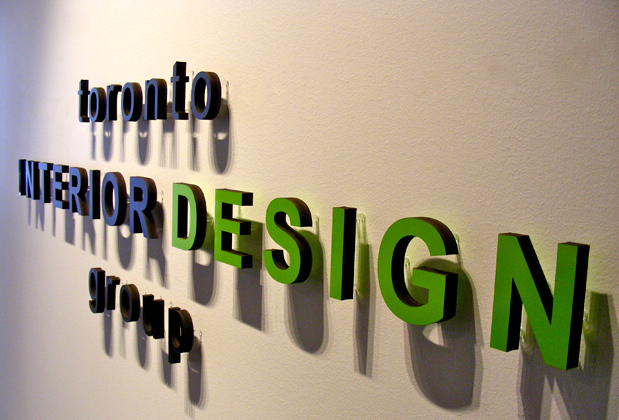 Office Sign 1/2" Mdf Material With Custom Epoxy Glossy Paint To Match Pms Corporate Colors. 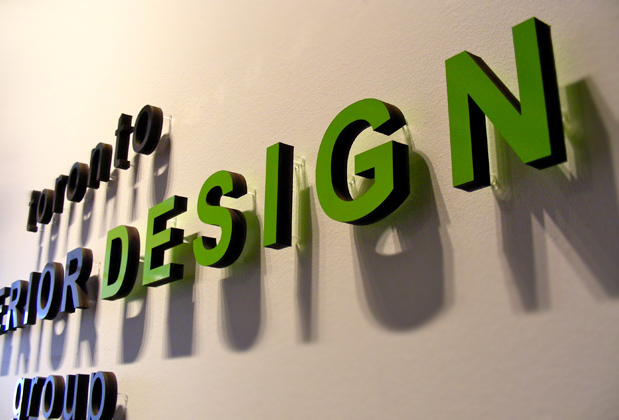 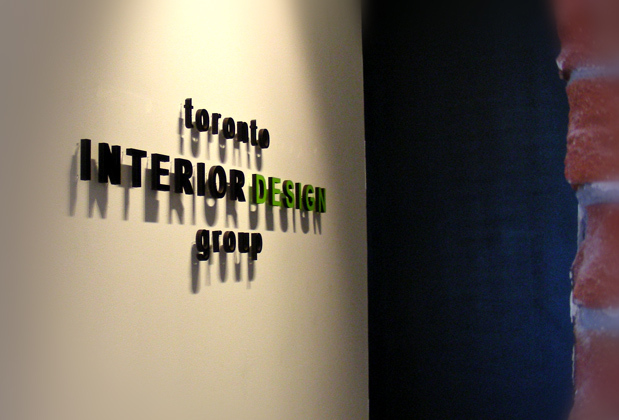 Toronto Interior Design Group, black and green painted MDF supplied by customer , office sign, wall mount with spacers. 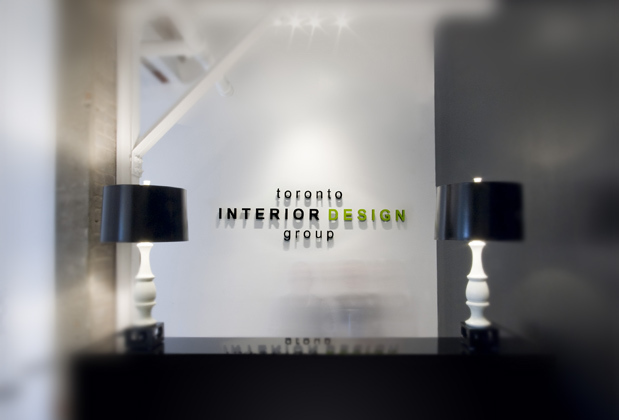 Final look with adjusted lights.